The Tribune Company’s 1922 competition to design the “world’s most beautiful office building” as its headquarters captured the interest of an international audience of architects, business leaders, and the public at large. The competition was one of the largest, most important and most controversial design contests of the 1920s. 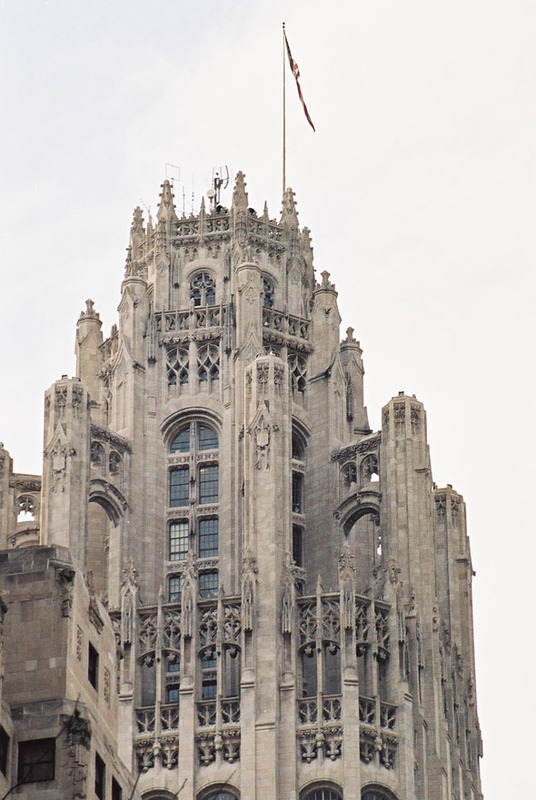 The 263 entries for the design of the new Tribune tower represented a broad constellation of approaches to the skyscraper at a time of transition. The competition was won by Raymond Hood – who would later build the Rockefeller Center in New York – and John Howell won the first place with their familiar gothic design. 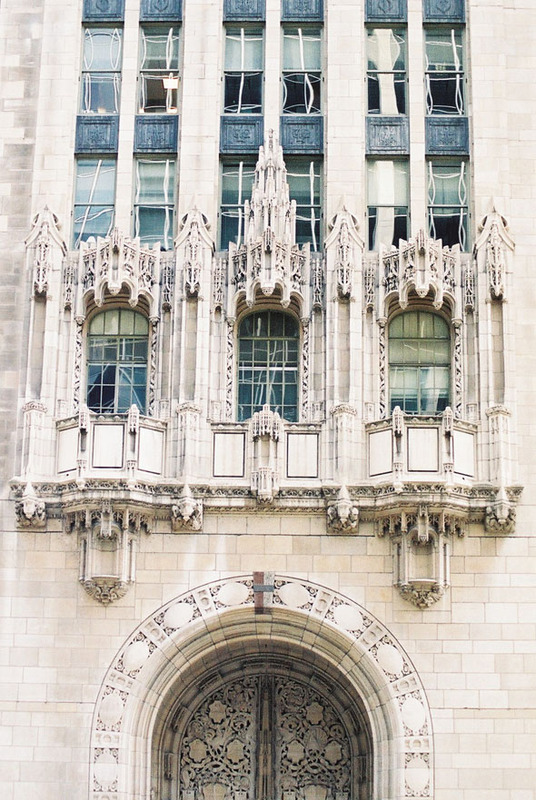 The award was very much criticized at the time as the gothic design went against the modernizing trend set by the Chicago School and against the ideas of the more functional European architecture, later known as the International Style, which reduced decorations to the bare minimum. Eliel Saarinen’s design was the runner-up and along with and another major contender from Walter Gropius was ultimately the more influential design. 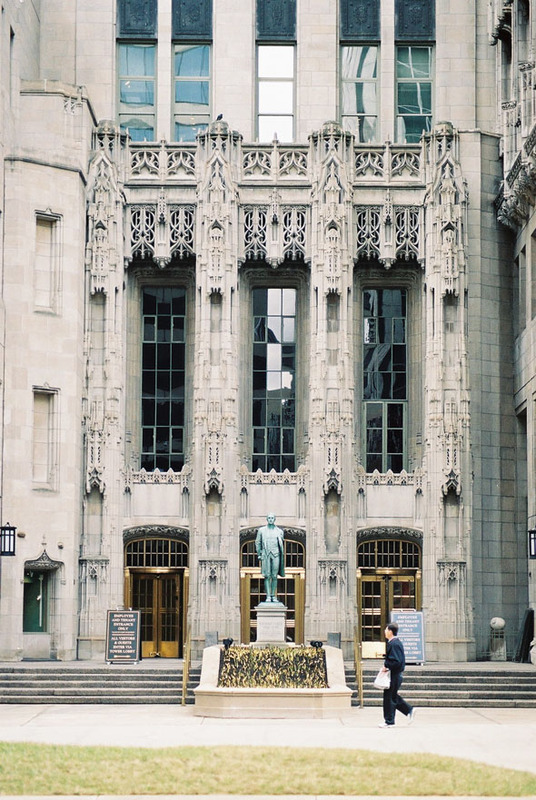 The Tribune Tower was completed in 1925 and reaches a height of 141 meters. The tower has been modeled after the Butter Tower of the Rouen Cathedral in France. 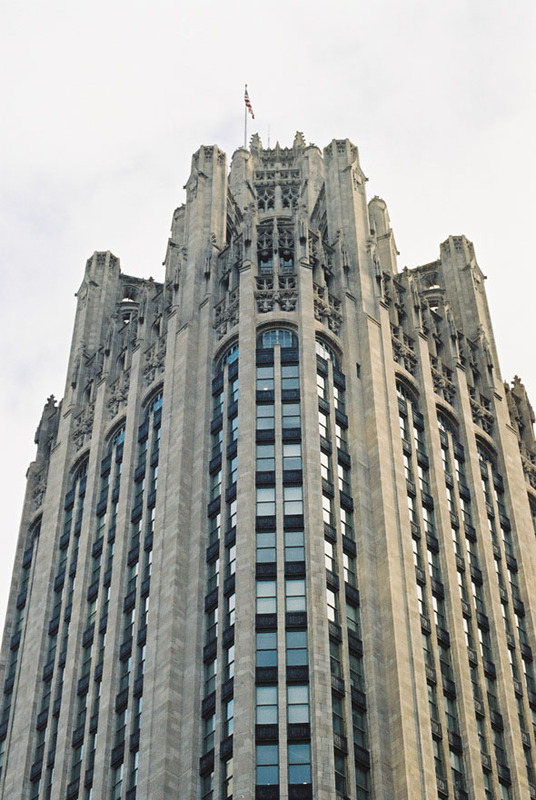 With its decorative buttresses at the top, the Chicago Tribune Tower remains a remarkable architectural monument.